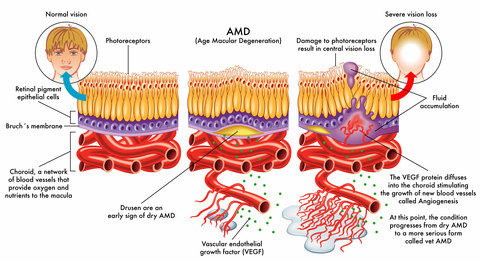 While most macular degeneration research targets the leaky blood vessels of wet macular degeneration, the truth is that most people with age related macular degeneration have the dry form. According to the American Macular Degeneration Foundation, approximately 85% to 90% of the cases of macular degeneration are the dry type. 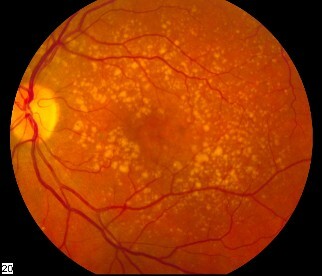 With the "dry" form of AMD there is no leakage of fluid or blood from fragile blood vessels around the macula. blurred vision, loss of detailed or sharp vision, loss of contrast sensitivity, colors appear faded, and/or a "smudge" appearing in the center of one's vision. 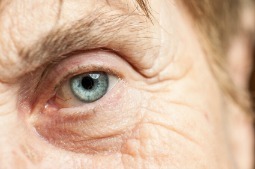 There is no standard medical treatment for dry AMD. However, we are beginning to see more clinical trials for this type of retinal disease. One of them is called Low Level Laser Therapy (LLLT). LumiThera, a medical device company, offers a non-invasive therapy called photobiomodulation (PBM). PBM uses a low level laser therapy to treat dry AMD. Unlike hot laser therapy that destroys tissue, this therapy uses low level light therapy to cause a photochemical reaction. According to LumiThera, "Photobiomodulation (PBM) also known as low level laser therapy (LLLT) has both primary and secondary effects on cellular responses to disease including anti-inflammatory, anti-oxidant and anti-apoptosis (cell death) effects."